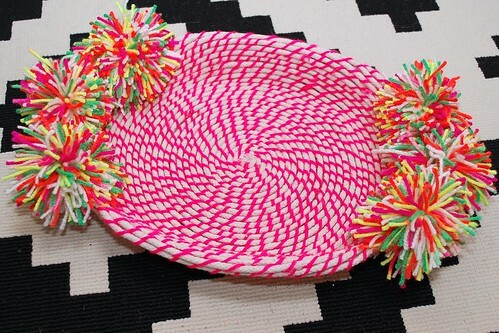 Remember the painted coiled rope bowl I made last summer? I loved it so much I decided to make a different version. 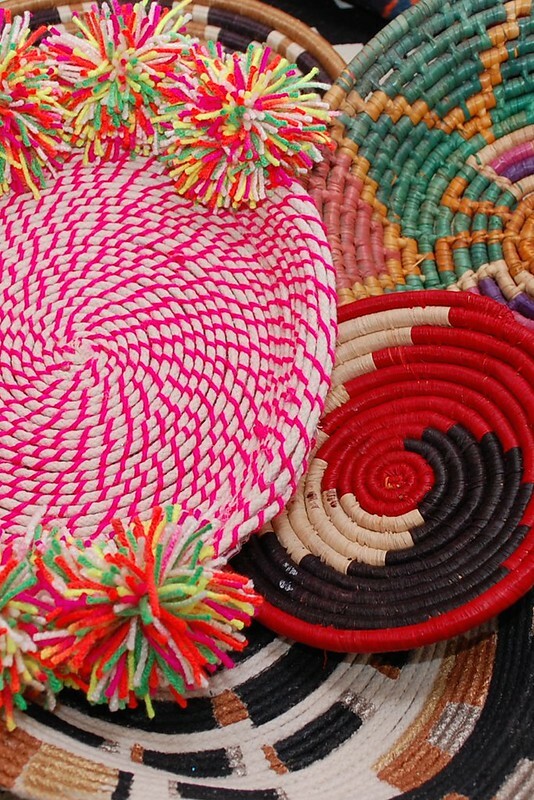 According to Yahoo DIY coiled rope bowls are a hot craft trend for 2015. Now you will know how to make these awesome (and easy) bowls two different ways! Section by section wrap your neon yarn around the bottom clothesline. Occasionally add a dab of Tacky Glue to tack in place. 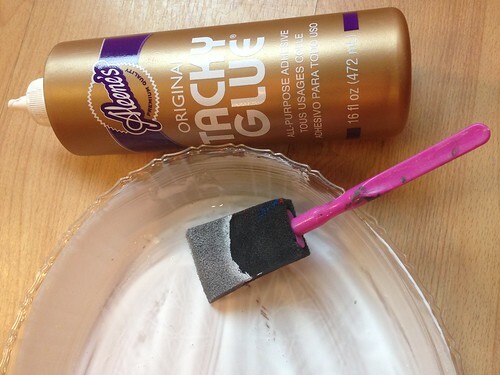 Coat your thrifted dish with Tacky Glue. 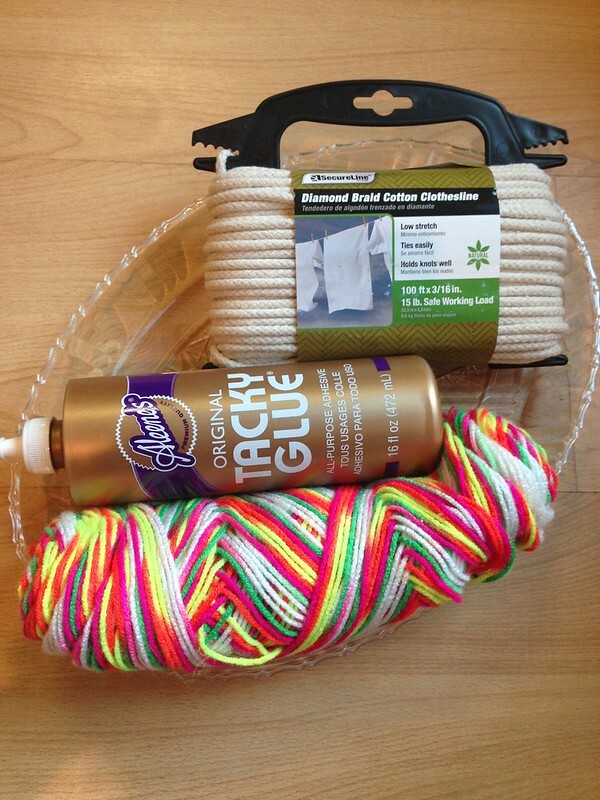 Starting at the center coil your laundry line. 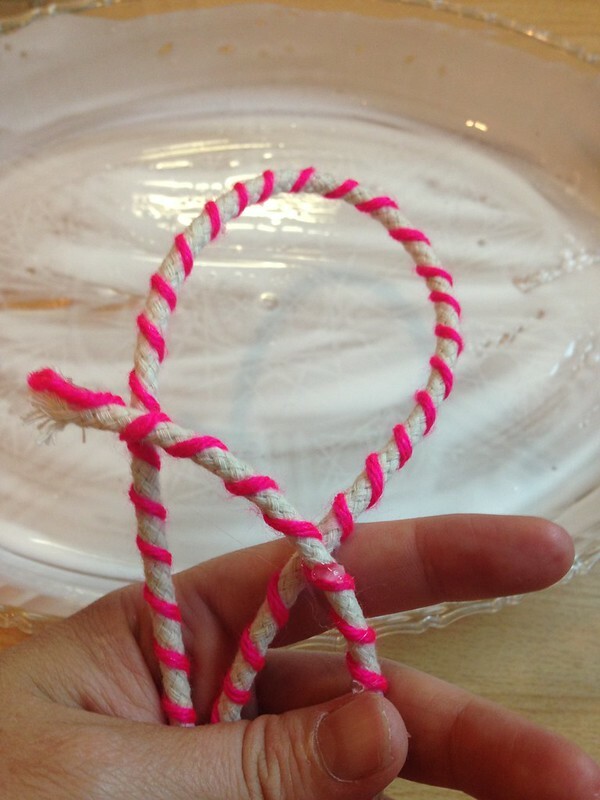 Continue to wrap the neon thread around the line and then coil. Do this until you have covered the entire dish. 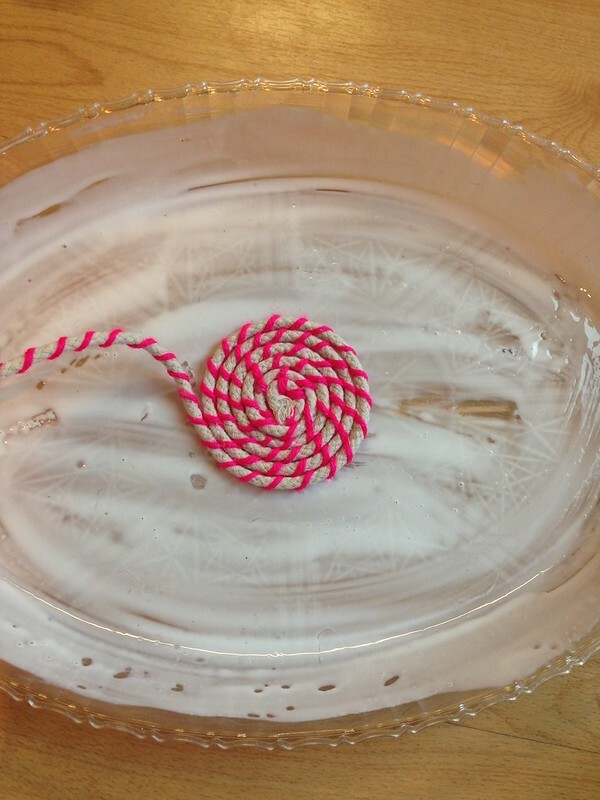 You may need to get creative on the edges if your bowl is not a circle. Clothespins will help hold your clothesline in place as the glue dries. 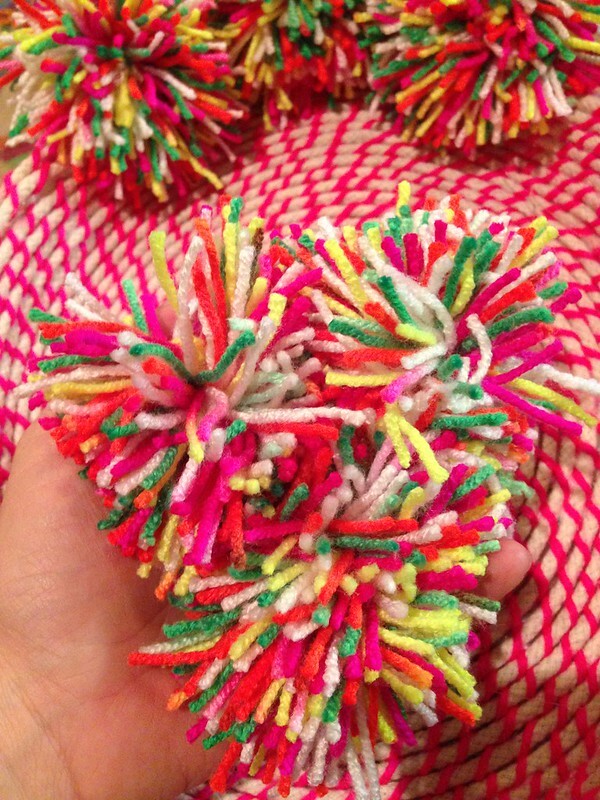 Using variegated neon yarn and a Pattie Wack Pom-Pom Maker make 6 pom-poms. 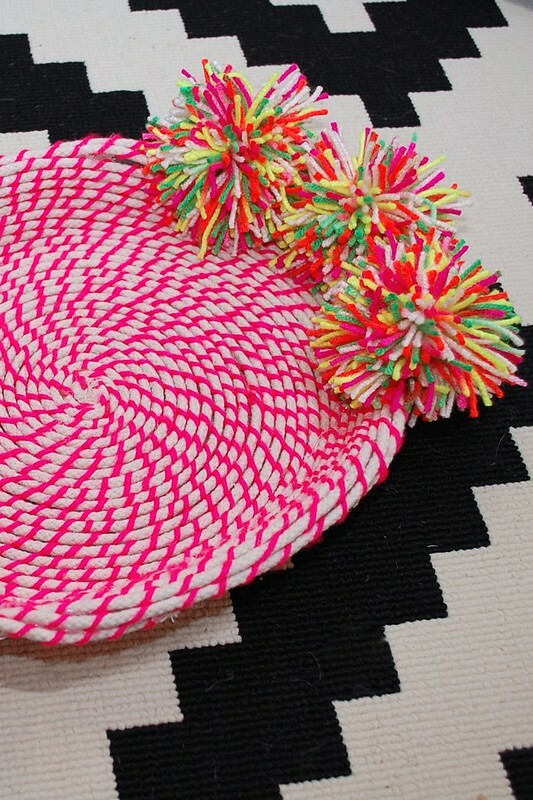 Glue your pompoms to the dish and enjoy. I'm working on a collection so I can cover the wall behind the television in my bedroom. Now that I have come up with two different ways to make these bowls I should have the wall covered in no time.